Colfax Crossing is now over 90% sold out! It’s time to spread your wings, find the home that fits your evolving lifestyle and put down roots in a neighborhood that offers you the best of No-Maintenance living in Chicago. 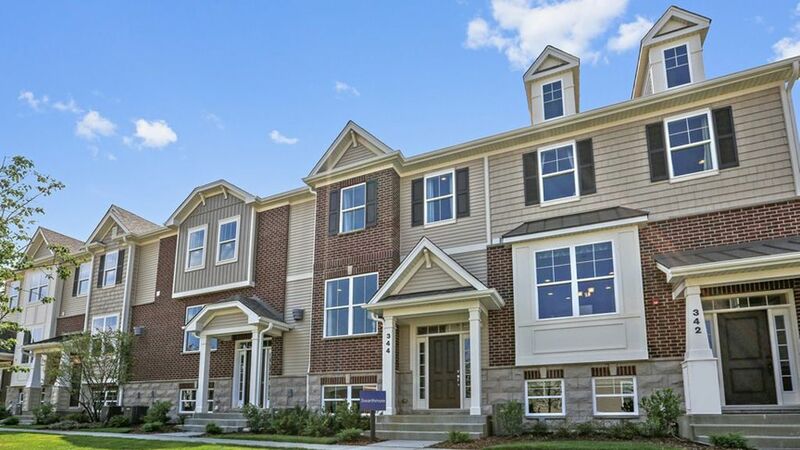 Imagine living just minutes from the Metra, offering you a quick commute to downtown each day. Don’t want to give up your car just yet? Interstate 90 and 294 are close by, giving you plenty of employment opportunities just a short drive away. Back at home, you’ll be living in a courtyard-style townhome community that’s just minutes from almost 60 city parks, highly regarded public and private schools, shopping, dining and more! Play golf with Lake Opeka as your backdrop, visit the McDonald’s Museum or hike along the Des Plaines River Trail. You’re ready for your next big move and Taylor Morrison is ready to help. So go ahead and SCHEDULE A VISIT TODAY! To begin receiving Updates, simply fill out the form on this page, and keep up to date on what's happening at Colfax Crossing! Request Information If you’re not already familiar with Taylor Morrison, we’re one of the country’s largest and most respected homebuilders, recently recognized as America’s Most Trusted™ Home Builder for 2016 by Lifestory Research. Our commitment is to you and building the very best home we can, baking in things you can’t live without like innovative designs, quality craftsmanship, great locations and community amenities that fit your lifestyle. So what are you waiting for? We’re ready to make your dream of owning a new home a reality. Find out today what we mean when we say we build “Homes Inspired by You”. Take Advantage of this Financing Option &Save Hundreds Monthly!If your dream home and ideal lifestyle is in Des Plaines, 2019 can be your new home year! Our Rate Roll Back, 2/1 Buydown program makes it all possible.